P. Jamas soft, lightweight knit gown. Available in your choice of color. Approx. 48"L from shoulder to hem. Scoop neckline. Short sleeves. Straight silhouette. Pullover style. Pima cotton. Made in Peru. 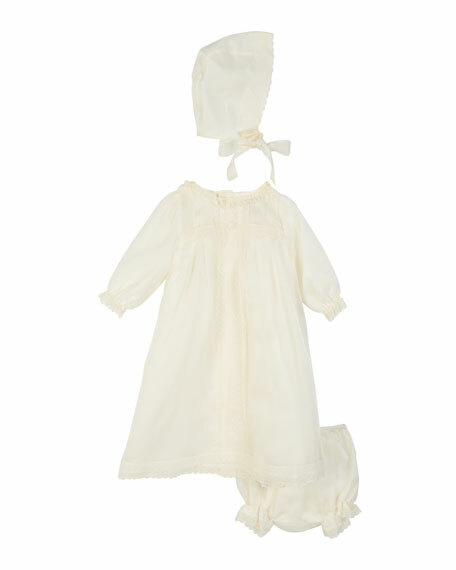 Pili Carrera long organdy christening dress. Crew neckline with ruffle collar. Long sleeves; elasticized lace cuffs. Tiered, scalloped lace hem. Button back. 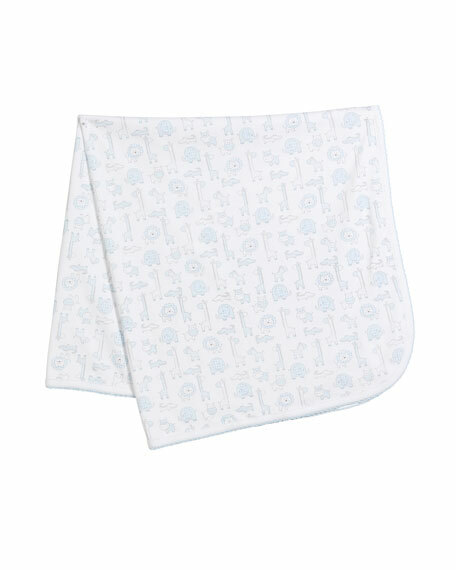 Includes matching bloomers and bonnet. Dress, bonnet and bloomers: silk. Linings: cotton. Made in Spain. Prabal Gurung gown in jersey. One-shoulder neckline with folded detail. Long sleeves; ruched cuffs. Knotted waist. Column silhouette. Dramatic front slit. Faux-wrap skirt. Viscose. Made in USA of imported material.